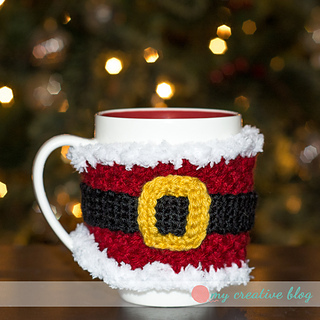 A fun and festive mug cozy for the holidays! Matches the “Santa Baby” earwarmer, also on my blog. Worked mostly without the need to sew. Button is the only thing that needs sewed on. Buckle is optional to tack down, but not necessary.